We have heard the term, “functional medicine.” But, what exactly does it mean and is it real? Dynamic balanceof internal and external factors. Health as a positive vitality, not merely the absence of disease. Promotion of organ reserveas the means to enhance health span. Environmental inputs– The air and water in your community, the particular diet you eat, the quality of the food available to you, your level of physical exercise, and toxic exposures or traumas you have experienced all affect your health. Mind-body elements– Psychological, spiritual, and social factors, including how you deal with stress, can have a profound influence on your health. 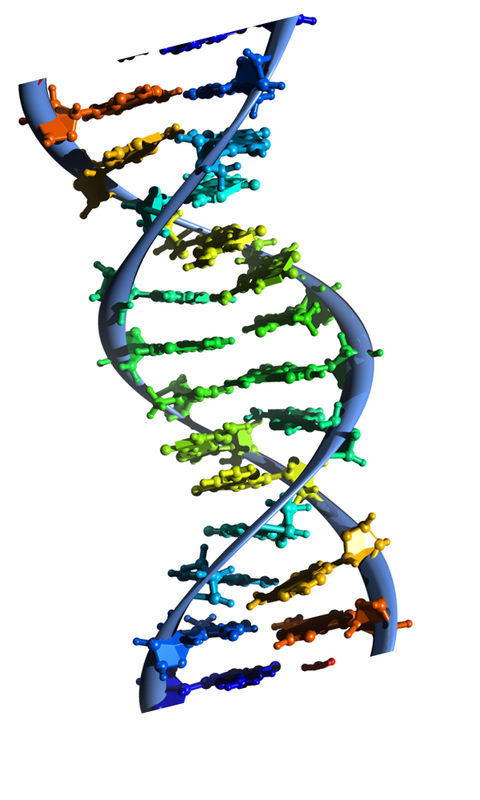 Genetic makeup – Although your individual genes may make you more susceptible to some diseases, your DNA is not an unchanging blueprint for your life. [Click to Tweet] Emerging research shows that your genes may be influenced by everything in your environment, plus your experiences, attitudes, and beliefs. Fundamental physiological processes, such as: how your body rids itself of toxins, digestion and absorption of nutrients,,regulation of hormones and neurotransmitters, musculoskeletal integrity, psychological and spiritual equilibrium, immune system function, how you manage stress, inflammatory responses, and how much energy you have. All of these processes are influenced by environment and by genes, and when they are disturbed or imbalanced, they lead to symptoms, which can lead to disease if effective interventions are not applied. 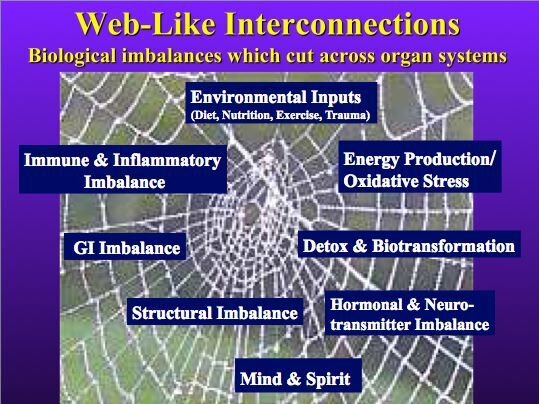 Most imbalances in functionality can be addressed; some can be completely restored to optimum function, and others can be substantially improved. What is the functional medicine approach to treatment? Prevention is paramount.Virtually every complex, chronic disease is preceded by long-term disturbances in functionality that can be identified and effectively managed. Changing how the systems function can have a major impact on the patient’s health. The functional medicine practitioner examines a wide array of available interventions and customizes a treatment plan including those with the most impact on underlying functionality. Treatments may include combinations of botanical medicines, supplements, therapeutic diets, or detoxification programs. They may also include counseling on diet nutrition, lifestyle, exercise, or stress-management techniques. The patient becomes a partner. As a patient, you become an active partner with your functional medicine practitioner. You may be asked to make dietary and activity changes that, when combined with nutrients targeted to specific functional needs, will allow you to really be in charge of improving your own health and changing the outcome of disease. Patient-centered care. The focus of functional medicine is on patient-centered care, promoting health as a positive vitality, beyond just the absence of disease. By listening to the patient, the practitioner involves the patient and customizes treatments that address the individual’s unique needs and goals. An integrative, science-based healthcare approach.Functional medicine practitioners consider the complex web of interactions in the patient’s history, physiology, and lifestyle that can lead to illness. “The unique genetic makeup of each patient is considered, along with both internal (mind, body and spirit) and external (physical and social environment) factors that affect total functioning.” Id.